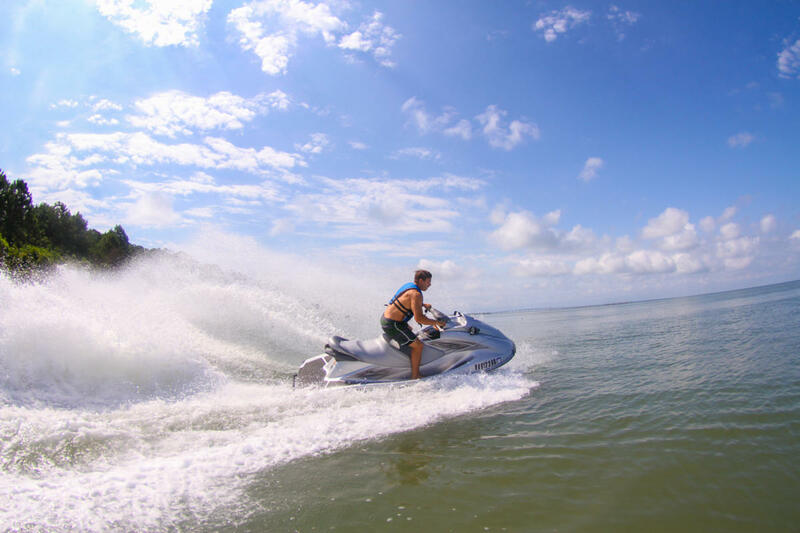 Virginia's Eastern Shore Jet Ski Rental. 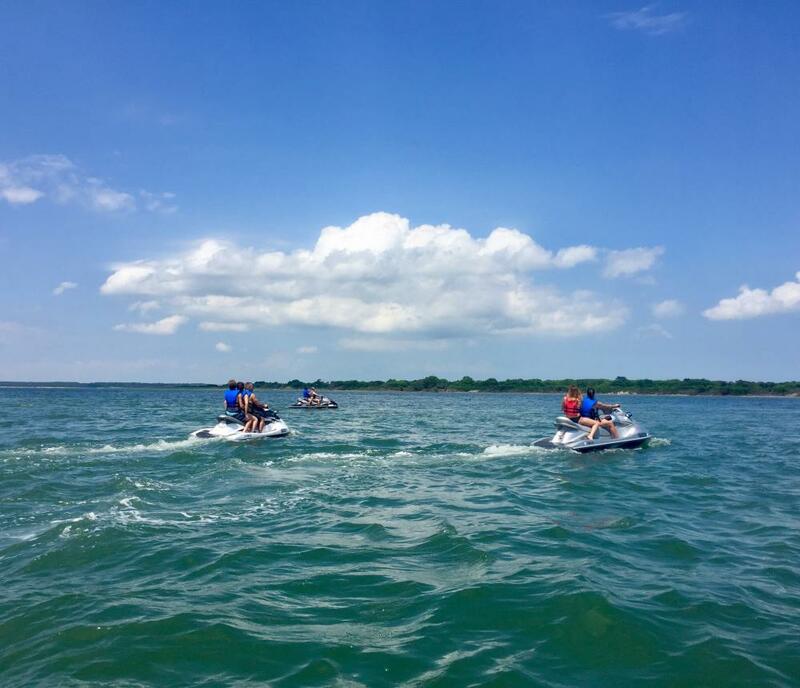 Affordable Prices, Well Maintained Equipment, and Largest Riding Area in Virginia. 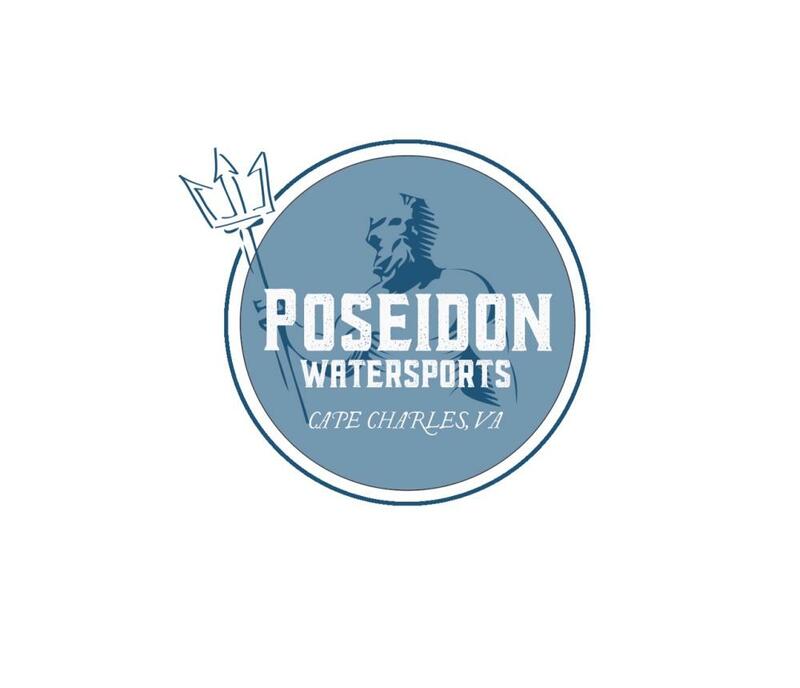 We Look Forward To supplying your fun on the water! 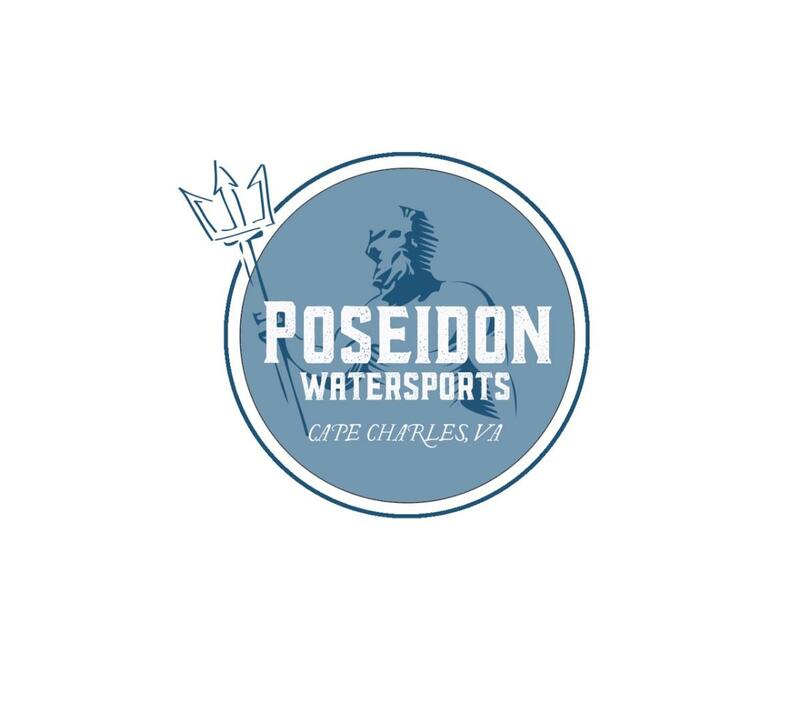 Whether you are looking for a relaxing time on the water or an adrenaline rush, Poseidon's jet ski rental has something for everyone. 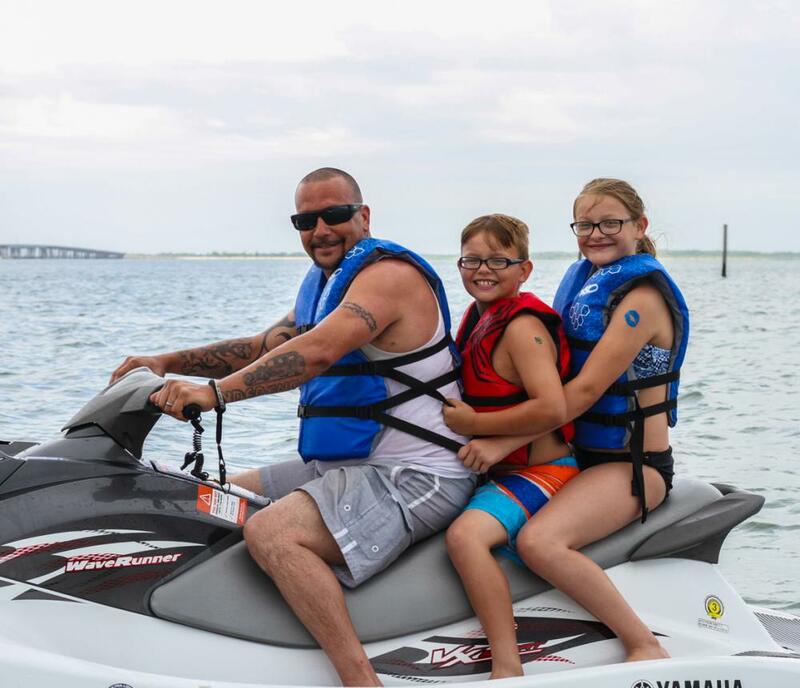 We are dedicated to providing a safe, fun, and memorable experience for all of our customers. 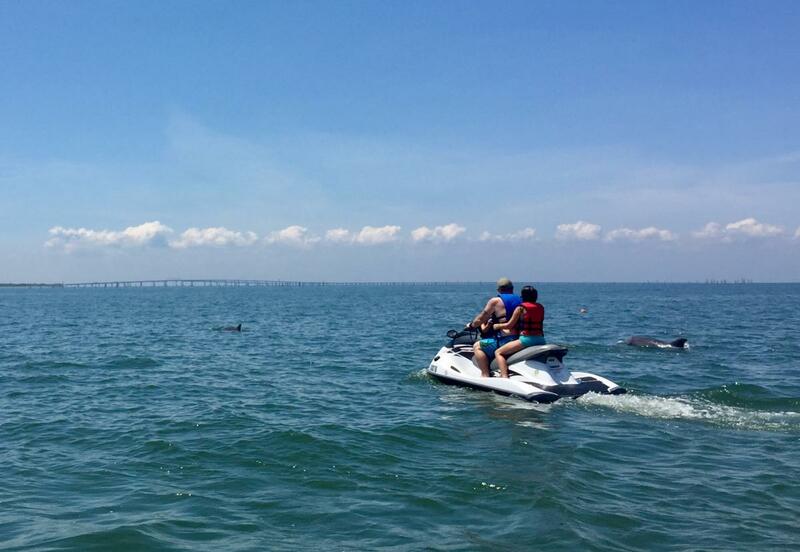 Groups, families, and individuals will enjoy the pristine Chesapeake Bay waters and its breathtaking scenic views. 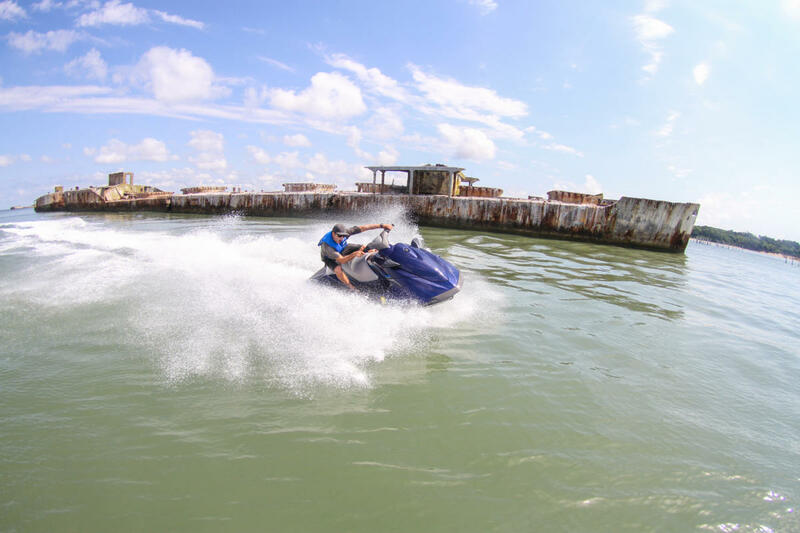 We have the largest jet ski rental riding area in Virginia. 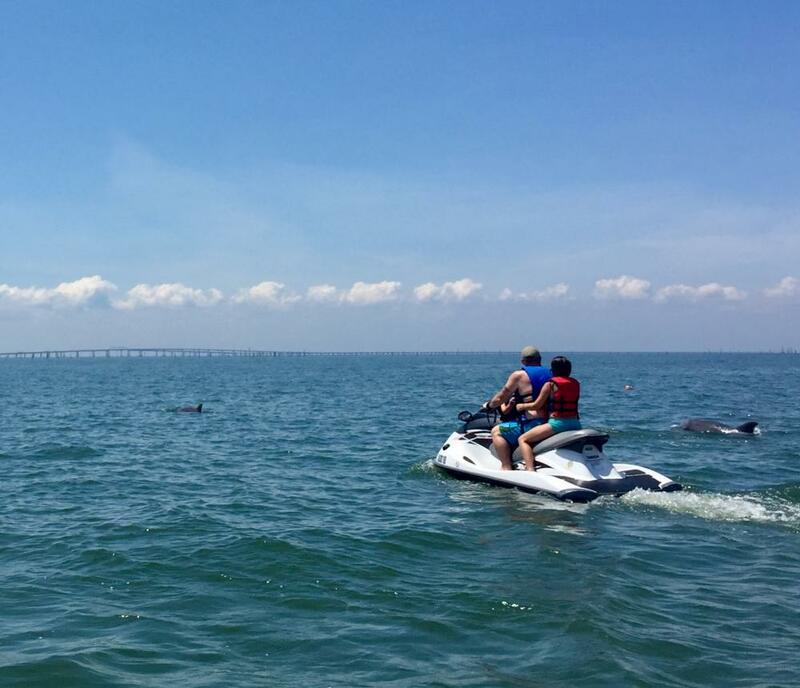 Adventure up to the concrete ships at Kiptopeake State Park or head over and see one of mankind’s greatest marvels the Chesapeake Bay Bridge Tunnel. 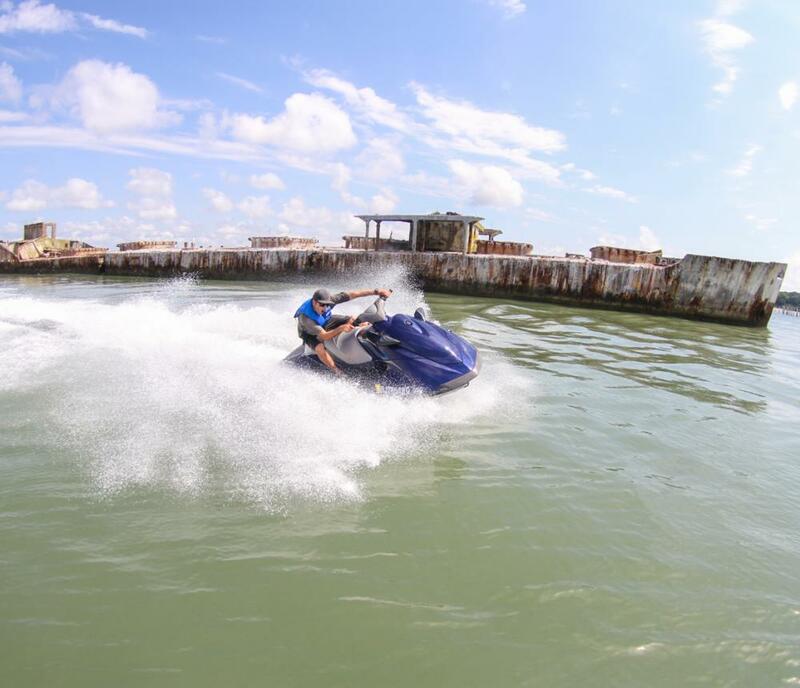 Our jet ski rental riding area is about 5 miles in total radius. 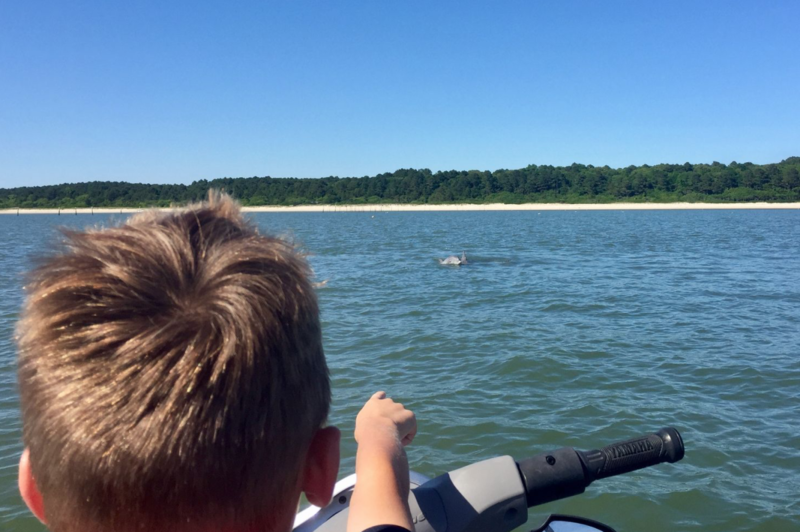 We often see dolphins playing in the area and they usually don’t mind if you say hello. 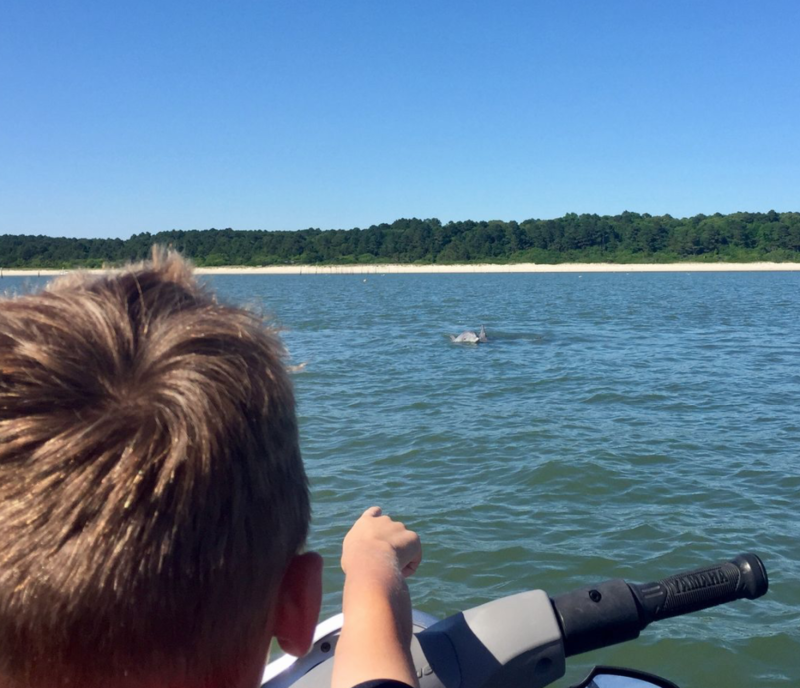 Here at Poseidon Watersports jet ski rental, we are surrounded by the breathtaking beauty of the Eastern Shore National Wildlife Refuge. 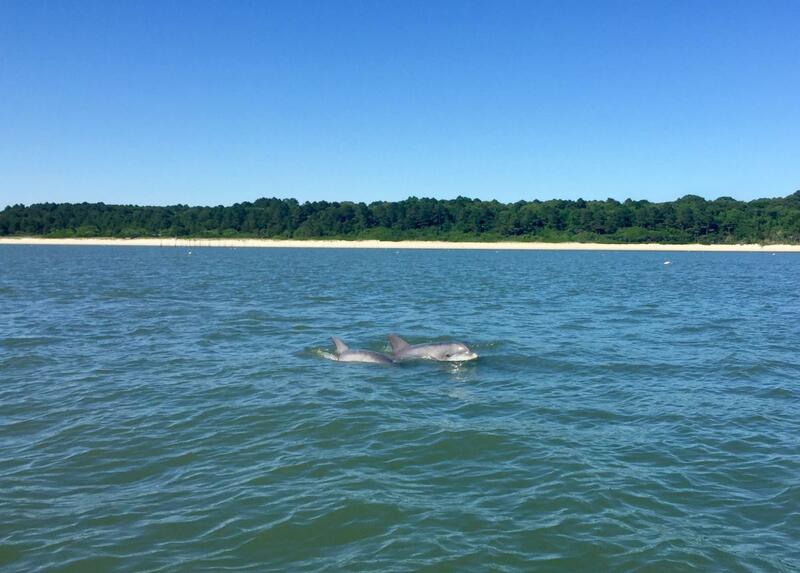 If you are looking for solitude on the water this area is perfect for you. 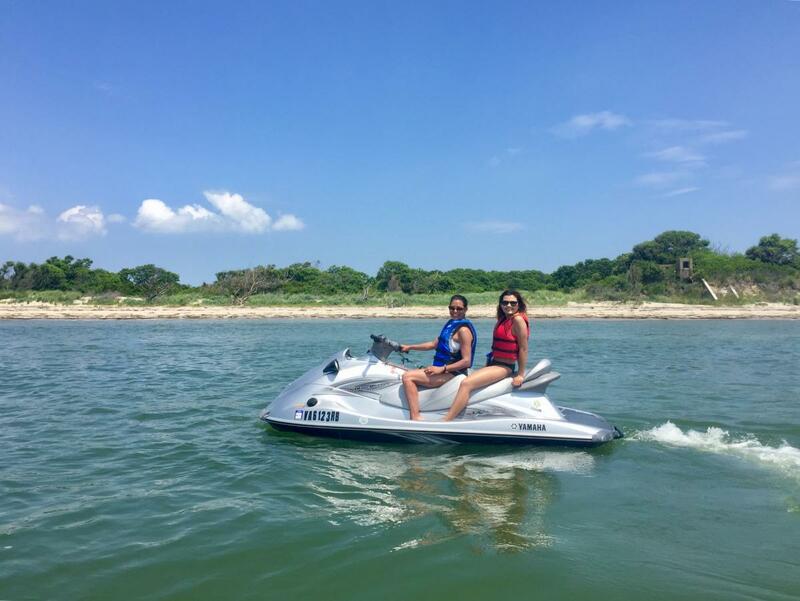 Our equipment is well maintained and in great condition. 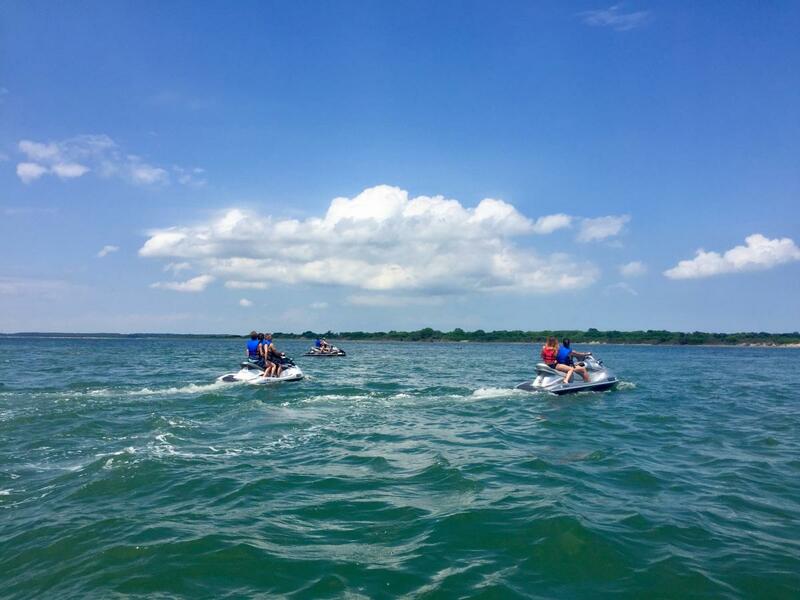 These 3 seater Yamaha jet skis are stable and lots of fun. 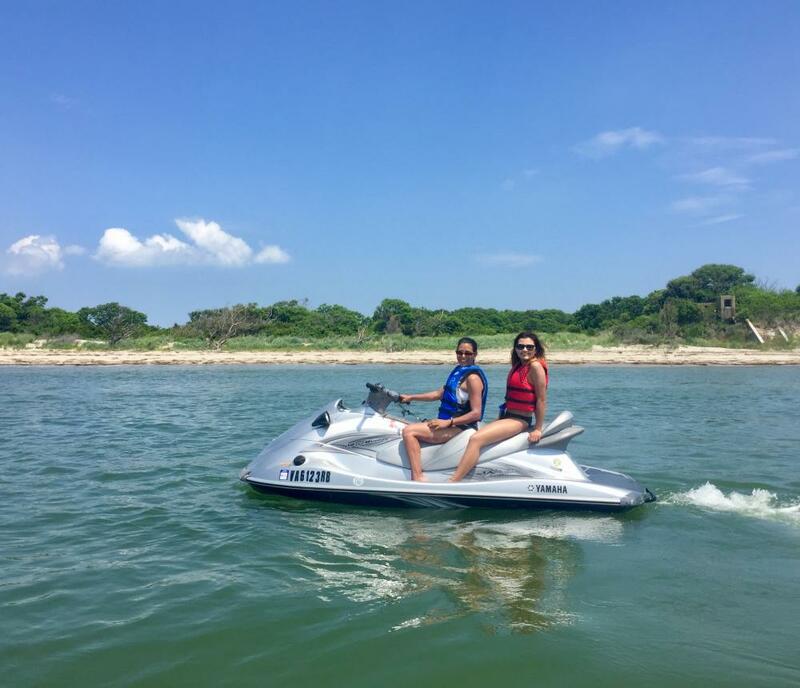 What you see in our pictures is what we offer for rent. 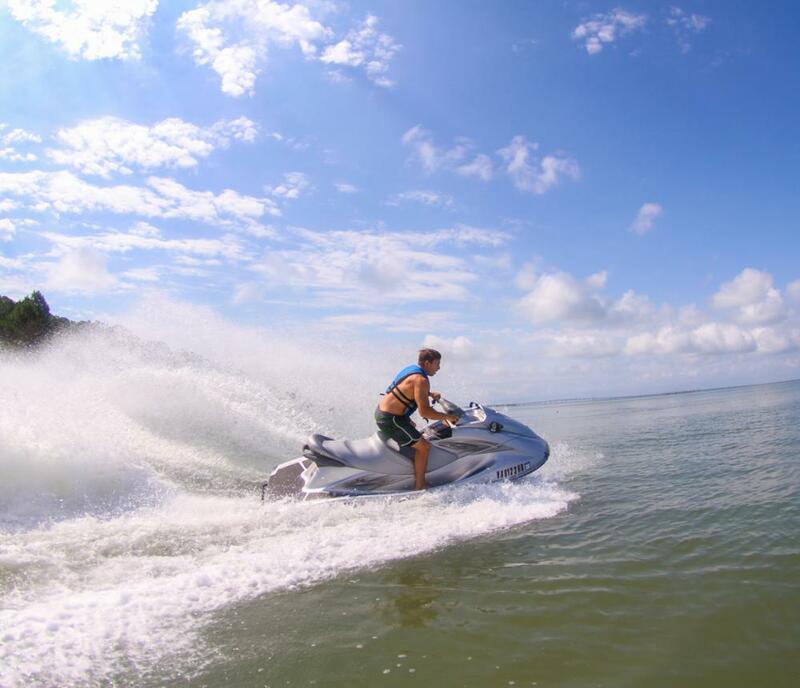 We launch directly from the sandy shore at Sunset Beach Resort. 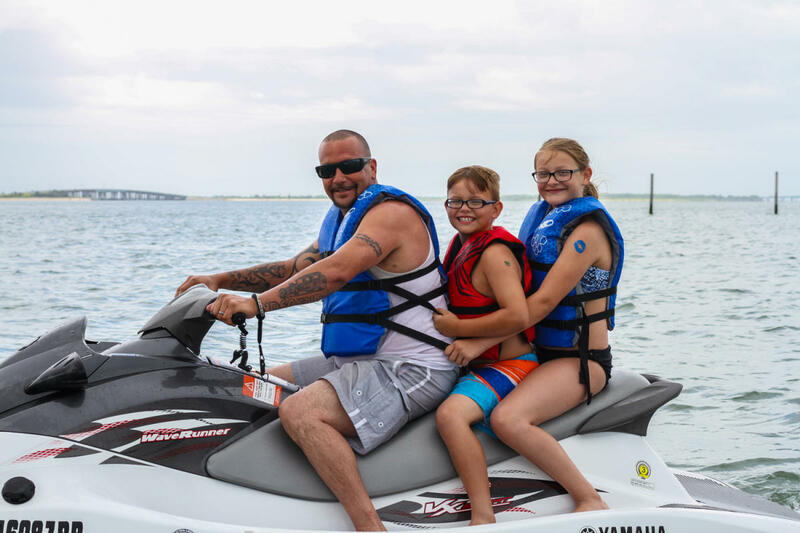 We welcome everyone of all ages and experience but you must be 18 years and older to drive and operate a rental jet ski in Virginia. 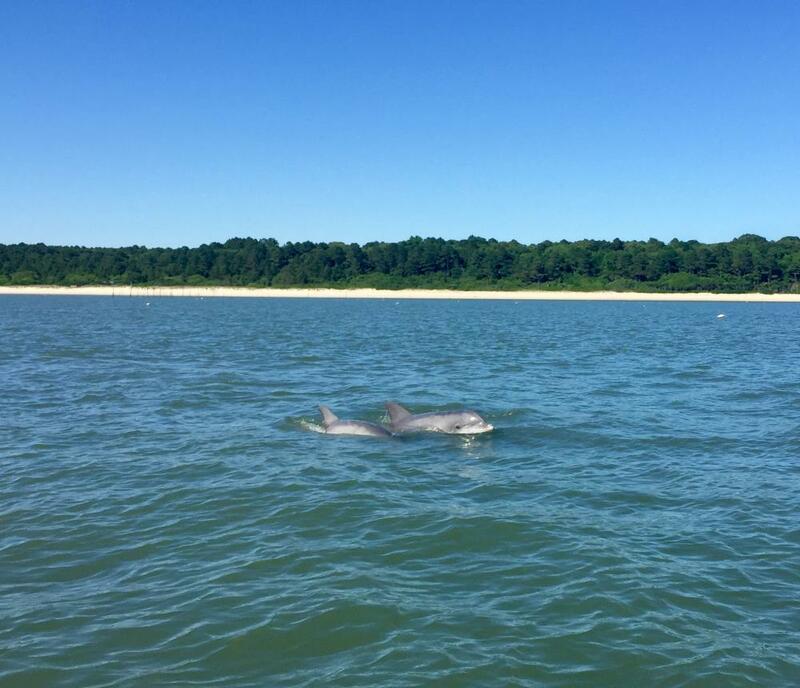 Both walk-ups and reservations are accepted daily, however, reservations are encouraged as it ensures availability.